Life is filled with so many ups and downs, twists, and turns, that nowadays, it is hard to tell the difference between the ones who say they love you, and your actual enemy. For one 13-year-old dog named Blacky, the betrayal is all too real. His owner didn’t want him anymore because his medical condition was growing worse. 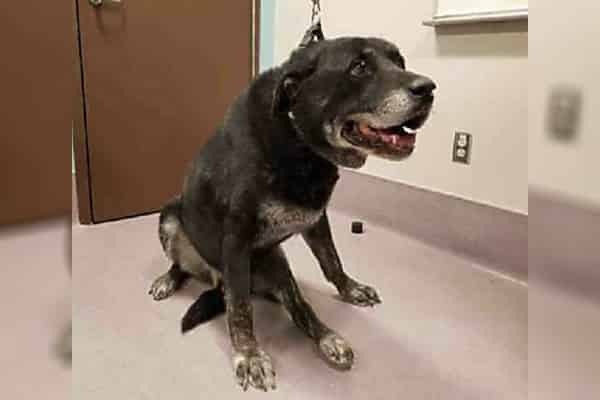 And so one day, he gathered all of his belongings and drove him to the Los Angeles County Animal Control - Palmdale (LACC), where he now languishes behind awaiting an uncertain future. The LACC is not exactly the place where hope and love abound. The dogs in the facilities are given just a few weeks, and sometimes even just days to find forever families before the unthinkable happens: euthanasia. Unfortunately, Black has until tomorrow to find a home, before he is put on the “euth list” to free up kennel space, according to my source at the shelter. Fidonation, if you or someone you know is interested in giving this precious pup a forever home, please contact the Palmdale Animal Care Center at (661) 575-2888 and reference the shelter ID #A4544000. 1 Response to "Heartless owner dumps 13-year-old senior at animal control because he was “low energy”"
Why do these threads rarely, if ever, have dates given?? It makes no sense. Some of them turn out to be old threads and in some cases the animals are safe, yet other threads are current and in some cases the animals are not safe, but it's not made clear at all. Very lax.